A delicious hot sandwich filled with cheese, tomato, avocado, spinach and more. Who here loves simple and delicious recipes?! We are all about them and love finding new ones to add to the meal rotation. Today’s recipe happens to be one of those simple and yummy recipes that we LOVE!! You see, we are HUGE fans of sandwiches and usually make them once or twice a week. In fact, we have grilled cheese sandwiches for lunch every Sunday because we ALL enjoy them. Recently, we changed things up and decided to make a Veggie Panini. 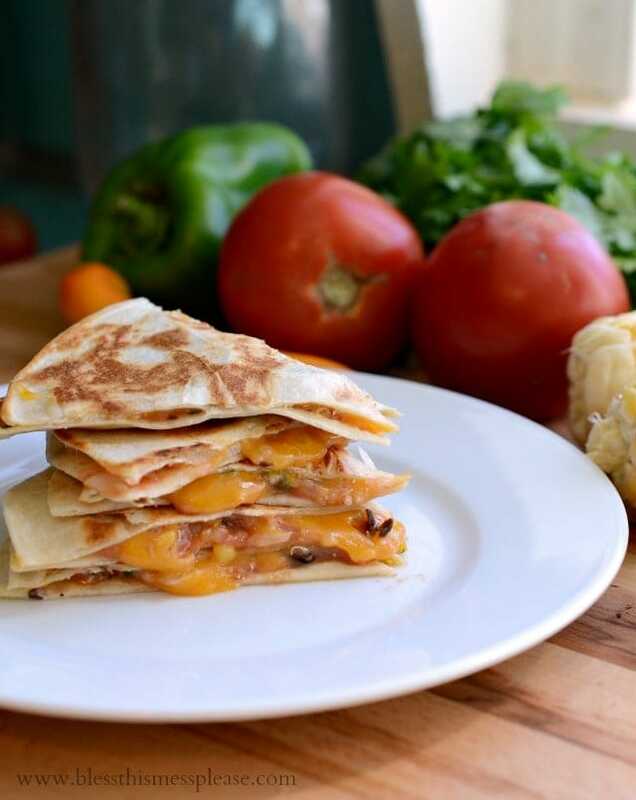 We’ve made Panini’s countless times and often make them for ourselves on the days the kids have their grilled cheese, but we decided to throw in some “extra” ingredients and have now found a new favorite. The best part of all is that they’re SUPER simple and take just minutes to put together. 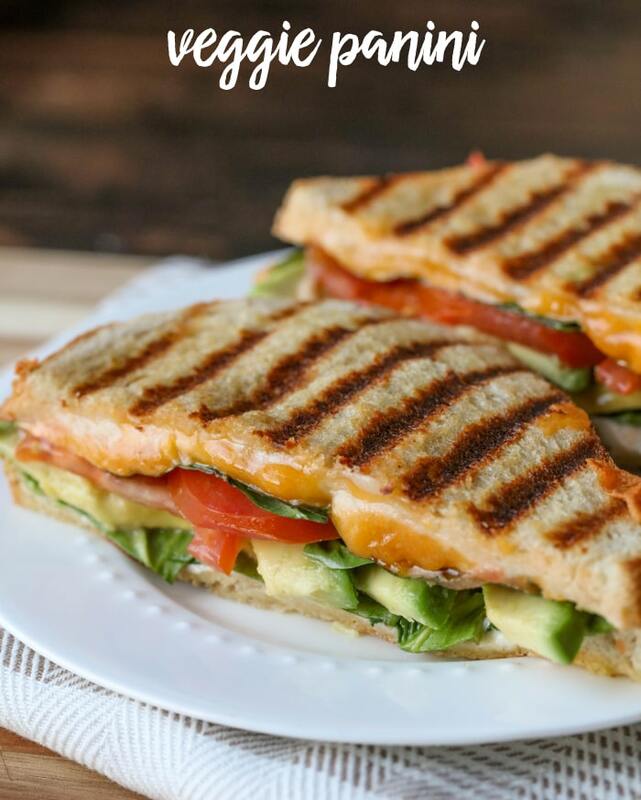 Delicious Veggie Panini - one of our favorite sandwich recipes filled with cheese, tomatoes, avocado and spinach. Begin by cutting up your avocados and tomatoes. Then butter your sourdough bread slices on each side. Add mayo, spinach, tomatoes and cheese to your sandwich and place on skillet. Cook for a few minutes on medium heat. Once done add your avocado slices and serve warm. 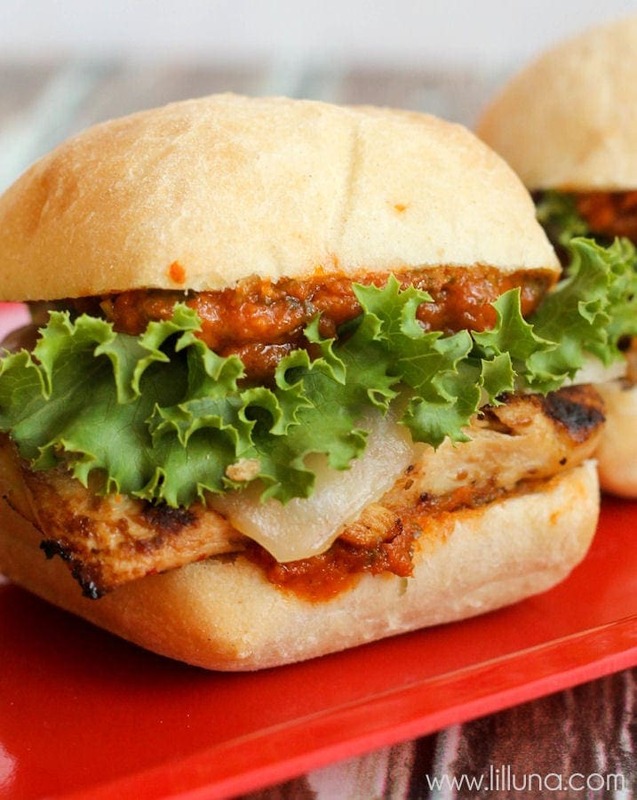 You can fill this sandwich with any of your favorite veggies! Oh my goodness! As soon as I saw your photo of this Veggie Panini, I truly was practically drooling! That satisfying combination of rich avocado and gooey cheese … plus juicy tomatoes and crispy bread … yes, please! I’m all about simple, delicious recipes, and this 100% fits the bill! This looks perfect! The avocado is my favorite part! We can all use quick easy dinner inspirations like these! One of my favorite things to make for quick dinners. Love them!! Love this panini! 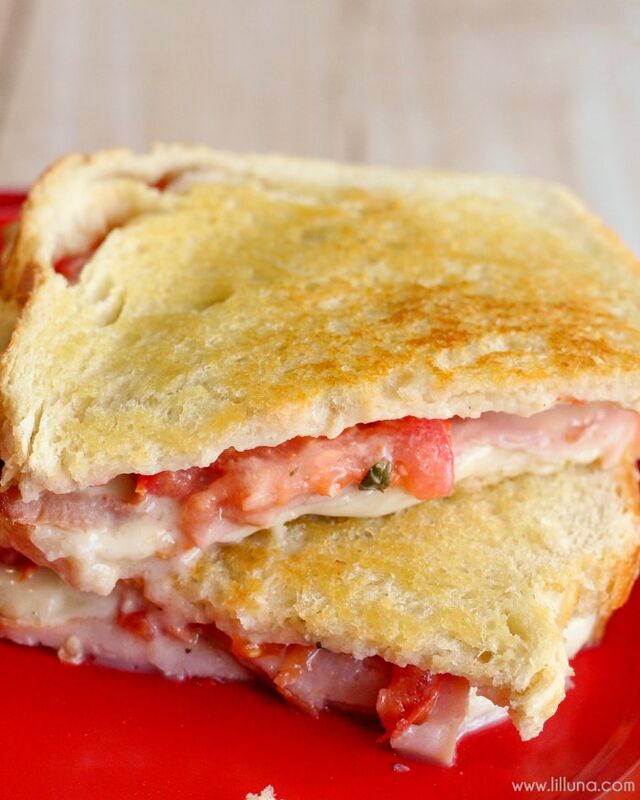 We make paninis every couple weeks for dinner…can’t wait to try this one! Yummy and so easy to make!